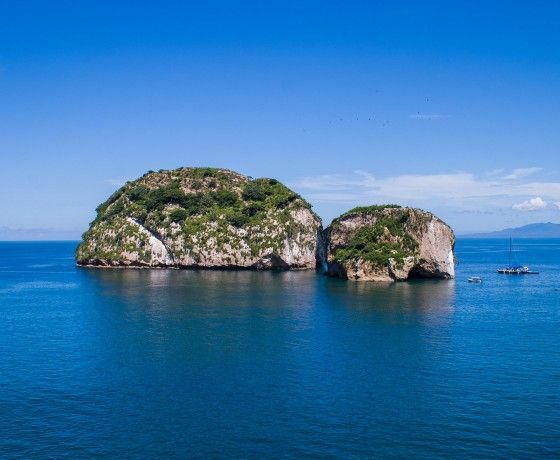 Puerto Vallarta offers great snorkeling sites and one of the most popular activities for tourists and locals alike. The bay offers great snorkeling options and we at PV Ocean Tours offer you three great options. All tours start at 9am. We recommend arriving between 8.45am and 9.00am so that we can get out early, and enjoy the sites before the others. We leave from Playa Mismaloya, a beautiful cove 15-20 minutes drive south of Puerto Vallarta with a great white beach, beautiful emerald colored water and a small river meeting the sea. The return time will depend on the site and the conditions on the day. All tours include the equipment rental, light lunch (sandwich and fruit), plenty of wáter, and everything you will need to really enjoy your day to the fullest, including an in water guide to enhance the experience..